Alexandre Vinokourov and Alexandr Kolobnev are getting ready to provide answers for the corruption charges that are framed against both of them relating to the 2010 Liege-Bastogne-Liege race incident. They will be giving their side of the argument in a court in Liege on May 15, 2017. A Swiss magazine L’Illustre had accused Vinokourov of making a payment of 150,000 Euros for conceding the 2010 Liege-Bastogne-Liege race and letting him win the race. The magazine later published email interactions between the two racers to claim that the agreement did happen between the two. Vinokourov and his friend Kolobnev had denied this allegation from the outset. Vinokourov said that the money paid to his friend was just a loan and nothing else. He said that the money dealings were part of his private life and it is a story built up to degrade him and to blacken his name. Vinokourov said that he regularly gives money as a loan and this is one such loan made to Kolobnev. The 2010 Liege-Bastogne-Liege victory of Vinokourov came after he had escaped with Kolobnev on the Côte de la Roche aux Faucons. The incident happened about 17 kilometers before the finishing point. He was about 600 meters ahead of the Russian ion the final drag leading up to Cote de Ans. This victory was the first classic victory that Vinokourov had achieved after coming from a 2-year ban for doping. He was also jeered by some fans when he took the podium position. But, all this has not deterred Vinokourov, who retired from racing after winning the 2012 London Olympics gold. 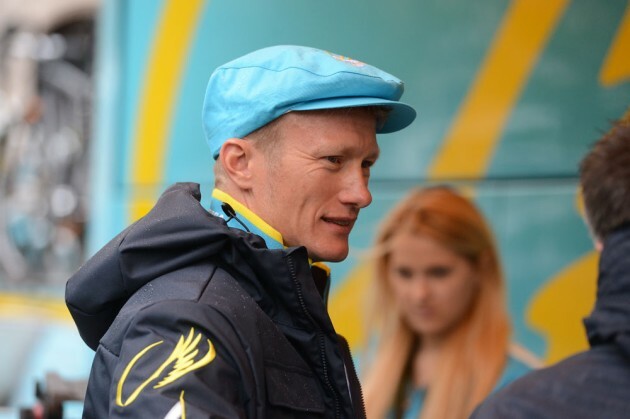 He is currently the general manager of the Astana Pro team. He is ready with his answers for the corruption charges levied against him and he has the belief that he will finally end up winning the case in court.